Many view childhood bullying as a simple fact of life. They see it as no more than innocent childhood playground teasing. In fact, a study by the CDC showed that up to 20% of all teens had been a victim of bullying at some point in their lives. The reality is, unfortunately, anything but. In the past few years, scientists and early childhood educators have rapidly accepted the reality that bullying and the resultant social ostracising by one’s peers in early childhood can have devastating psychological effects well into adulthood, including potential economic ramifications. The consequences of bullying significantly raises a child’s risk of developing a mental illness or committing suicide. As a result, schools across the nation have adopted strict anti-bullying policies and prevention programmes. Sadly, these may not be enough to prevent your child from becoming a victim of psychological or physical harassment at school. As a parent, you must remain a vigilant and devoted advocate of your child while dealing with administrative staff and educators. The welfare of your child is your chief concern as a parent, and this is what you must convey on a continual basis to other adults in your child’s life. No-one else will do this for you; despite what others may say, no-one has as much incentive to ensure your child’s wellbeing as you do. 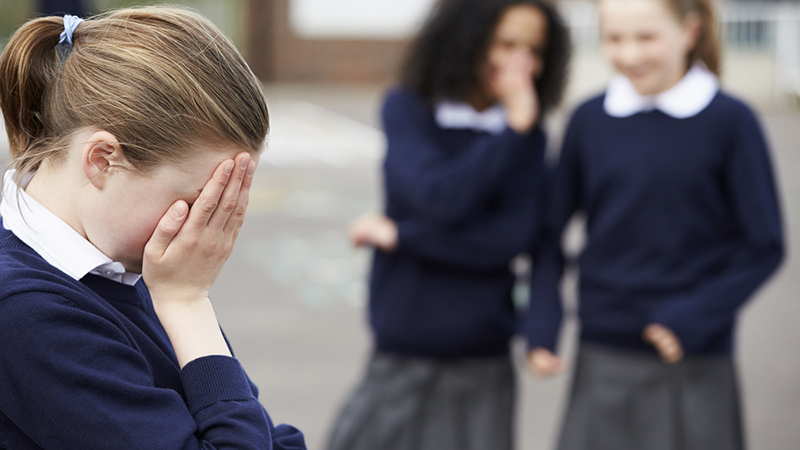 The best way to tackle school bullying begins with prevention tactics. It is important, if not vital, that you instil social techniques in your child and the ability to stand up for themselves. Teach them proper conflict resolution skills, and how to walk away from a situation in order to diffuse it. When all else fails, ensure that they are comfortable enough to tell a teacher or another trusted adult when a peer refuses to stop harassing them and all other means of conflict resolution have been exhausted. Unfortunately, there will be times when your child simply will not be able to deal with the problem on their own, and their teacher is rendered either incapable or unwilling to help them resolve the issue at hand. In these cases, you must step up and stand up for your child as their parent. You must make it abundantly clear to school administrators and teachers that you will not tolerate the continued harassment of your child while they are at school. All children have the right to a safe environment in which to learn. Reiterate this to school administrators if you must. Work with them as best as you can in order to develop a plan that ensures the safety and continued education of your child within the school. If you must, refer them to evidence-based methods through which they can create a safe school environment.